The road to shipping SPITFIRE SYMPHONIC BRASS has, however, been a long and winding one for its namesake creator — the creative culmination of over a decade of sweeping sampling and four formative years spent regularly recording the best British brass players in action as arguably the best in the world. While its inspired content originally saw the light of day in modular form as part of Spitfire Audio’s BML (British Modular Library), an ambitious project to create the greatest-sounding and, ultimately, future-proofed living orchestral virtual instruments collection, SPITFIRE SYMPHONIC BRASS really rationalises those numerous, deep-sampled components into an all-new file architecture which will allow for future improvements and enhancements as a more affordable entry into what the company collectively believes to be the finest orchestral brass library available anywhere today. That being said, with numerous notable improvements now implemented, including a whole host of new articulations and new instruments such as contrabass tuba and solo trombones, there’s so much more to SPITFIRE SYMPHONIC BRASS than simply making it more manageable and affordable. An abundance of presets par excellence are already on offer with new ‘Volume 2’ articulations across a broad band covering solo, chamber, symphonic, and cinematic instrument groups as well as all those previously available as part of BML — namely, a – Horn Solo (with 10 different articulations); b – Horns a2 (with 18 articulations); c – Horns a6 (nine articulations); d – Tenor Trombone Solo (14 articulations); e – Tenor Trombones a2 (nine articulations); f – Bass Trombone Solo (nine articulations); g – Bass Trombones a2 (nine articulations); h – Contrabass Trombone Solo (nine articulations); i – Trombones a6 (nine articulations); j – Trumpet Solo (14 articulations); k – Trumpets a2 (11 articulations); l – Trumpets a6 (nine articulations); m – Tuba Solo (eight articulations); n – Contrabass Tuba Solo (six articulations); o – Cimbasso Solo (seven articulations); plus p – Cimbassi a2 (eight articulations). All add up to the most comprehensive selection of articulations and other additions available as super-deep sampled brass with multiple dynamic layers and round robins rounded out by a lengthy list of legato techniques to play to win with — namely, a – Horn Solo – Legato; b – Horns a2 – Legato; c – Horns a6 – Performance Legato; d – Tenor Trombone Solo – Legato (coming soon in a free update); e – Tenor Trombones a2 – Legato; f – Bass Trombone Solo – Legato (coming soon in a free update); g – Bass Trombones a2 – Legato; i – Trombones a6 – Performance Legato; j – Trumpet Solo – Legato; k – Trumpets s2 – Legato; l – Trumpets a6 – Performance Legato; and m – Tuba Solo – Legato. And all are clearly presented in a new and intuitive GUI (Graphical User Interface) — including an inline help system — based on a decade of Spitfire Audio’s award-winning sampling experience and its co-founders’ combined quarter-century as working composers. Comfortably accommodating playing styles ranging from heart-rending choral work to blistering bleeding lip-induced indulgences, any aspiring John Williams or zealous (Hans) Zimmer-ite should surely be as just as excited and inspired as Spitfire Audio’s ‘composers in residence’ are at the thought of literally playing with those Hollywood hotshots’ favourite players when working with SPITFIRE SYMPHONIC BRASS! But before getting too carried away with wondrous music technology developments duly delivered by Spitfire Audio’s latest and greatest sampled-based instrument, is it any wonder that there’s something about British brass that keeps composers coming back to London to record illicit ‘overdubbing’ sessions — sometimes even under the cover of darkness? From its collieries through to its jazz clubs, amongst the hundreds of pit bands or sitting proudly abreast at the Proms in the Royal Albert Hall, through symphonic concerts to countless chamber spaces, the British brass tradition runs through the country like spinal fluid. 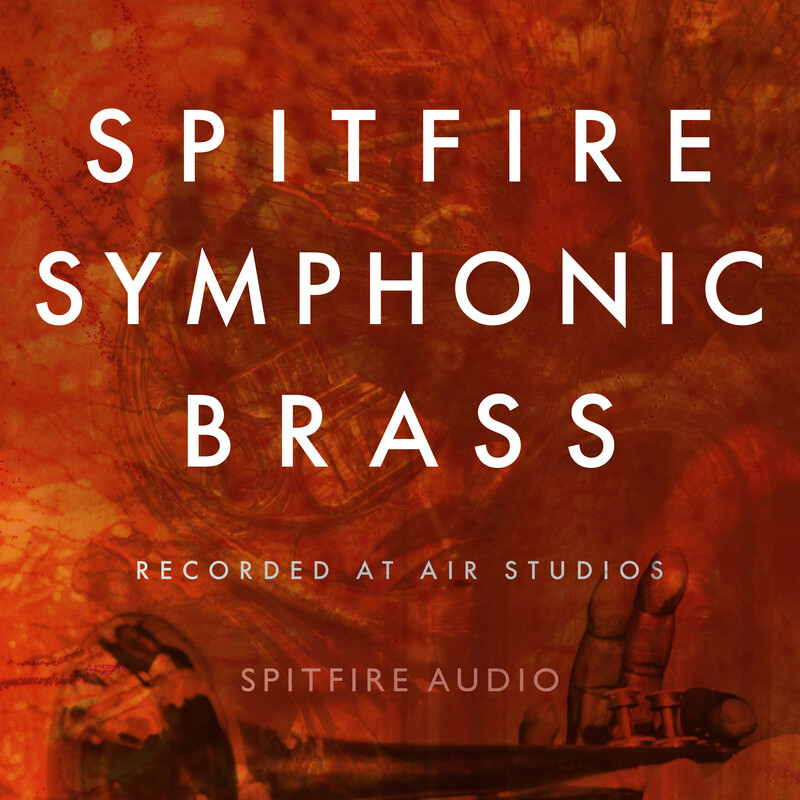 First recording a full brass choir for its infamous ‘bespoke’ range of sample libraries many moons ago, Spitfire Audio’s namesake SPITFIRE SYMPHONIC BRASS release really represents the culmination of company co-founders Christian Henson and Paul Thomson’s tireless quest to creatively capture the spirit and spine of this musical culture for the musical world at large to share and celebrate in its own musical creations. Currently, the SPITFIRE SYMPHONIC BRASS core pack comes complete with three distinct mic positions — C(lose), T(ree), and A(mbient) — while a new add-on pack is coming soon with additional mics and mixes, making for even more musical possibilities… proof positive of those future improvements and enhancements to this definitive compendium of orchestral brass. Note that Native Instruments’ free KONTAKT PLAYER is included with SPITFIRE SYMPHONIC BRASS, while Spitfire Audio’s free Download Manager application for Mac or PC allows anyone to buy now and download anytime.